Rejection is one of the most difficult experiences we all go through. Whether rejection is personal or professional, your ego can take a hit, and you might be left feeling disappointed, disgusted, or distraught. Although rejection hurts at the onset, it doesn’t need to be a fully negative experience. Learning from rejection is one of the most difficult things to do, but if you can manage it, you will learn an extraordinary amount of information. 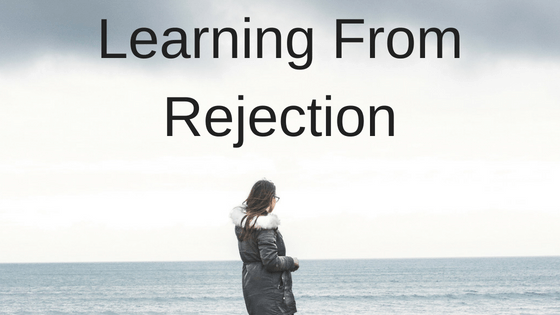 To help with this process, here are a few things you can do to learn from rejection. Let’s say you interviewed for a job but did not get it. Your first instinct may be to pity yourself or get angry at the interviewer. However, if you can overcome those emotions for a short minute, I challenge you to ask the interviewer why you did not receive the position and what you could work on. It could have been that your résumé did not showcase your talents enough, or you didn’t research the company before the interview. Regardless of the reasoning, make sure to fully listen to the criticism and thank the person for the information. Reflecting on rejection experiences from the past may reveal that problem areas have been a common thread throughout your life. Maybe you stumble over your words because you lack confidence. This could be a trait that carried all the way from early education into your professional career. If you can tie a recent rejection back to a pattern of behavior, it is definitely worth exploring further. When facing rejection, it is natural to feel like you want to give up. In many situations, you may have more than one chance, though. If given another opportunity, take the time to plan ways you can work on your problem areas, and make sure to list actionable items. This way, you know what you have to complete before you are ready to try again, and you will have something to focus on moving forward. While there is a lot you can learn about yourself from rejection, the biggest lesson is that sometimes, there was nothing you could do. This happens more in personal relationships, but even professionally, someone might have their own reasons for rejecting you. You should always assume there is something you could work on, but if, after serious self-reflection, you can’t find anything, it could be an external problem. In that case, the biggest lesson is that you can’t control everything, and sometimes, you just need to roll with it. Rejection will always be a difficult experience, but the lessons you learn from it have the potential to deeply impact your life. Make sure you take the time to find out as much as you can about the rejection, and keep your head up high. You will always have more opportunities.